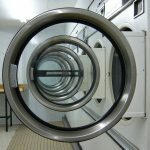 Within the U.K. commercial cleaning market, a ‘small laundry’ operation is defined by whether or not it has a tunnel washer installed. 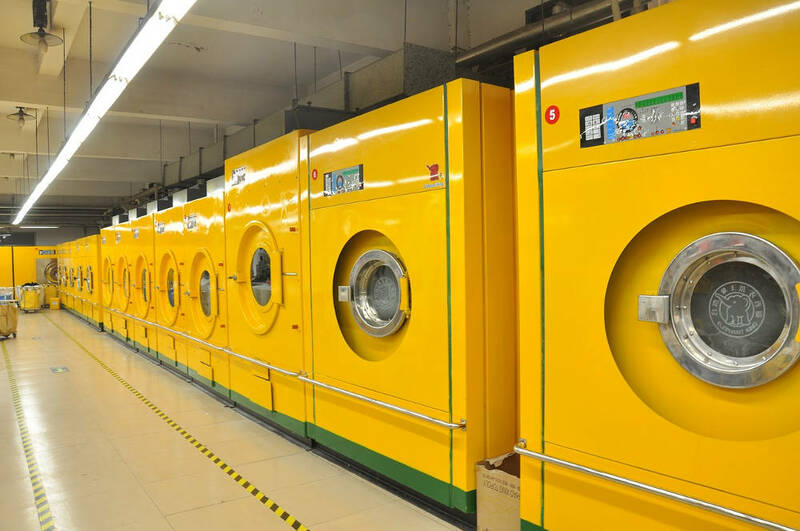 Smaller operations don’t have one and generally wash personal items and flatwork items, such as towels and bed sheets, in a front loading washing system. In contrast, larger laundries focus on washing very large quantities of flatwork items in a tunnel washer. 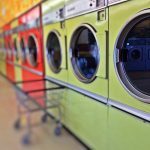 What are the pros and cons for each type of operation, and more importantly, how can small laundries compete? Price – It is difficult for small commercial laundries to compete with larger operations due to economies of scale. Larger laundries with tunnel washers have reduced labour costs as they only manually touch linens when loaded and then collect them when finished. With front loading machines, staff members need to sort by hand and load multiple times to wash a similar quantity. Brand – Small laundries tend to have very little marketing budget which means it is much more difficult to spread the word via advertising, PR, social media and content marketing. As a result, their value add is sometimes missed. Quality – Tunnel washers have one pre-programmed wash cycle and therefore have limited applications. Front loading machines are more flexible and are able to deliver a variety of wash cycles suited for the level of soil to gain a superior clean as compared to a tunnel washer. Variety of work – Small laundries are able to offer more bespoke services as well as be more flexible to meet client’s needs. Many hotels actually outsource towels to both large and small laundries. Large laundries offer ‘pool stock’ which means the towels and bedding could have been at one hotel one night then at their hotel another night. Smaller laundries offer hotels ‘dedicated stock’ which means they always get the same towels/bedding back once cleaned. This is a key feature particularly for luxury hotels that offer signature linens as part of their overall brand experience. Personal approach – One of the key selling points of small laundries is their service can be tailored. For example, if fast delivery is needed they are much more likely to be able to help. In contrast, large laundries have set schedules and dedicated pick up and drop off times that are difficult to change. A key way small laundries can set themselves apart from their larger counterparts is by installing a Hydrofinity washer. The revolutionary system has the utility costs of a tunnel washer but delivers even better cleaning results than a traditional front-loading machine. The Hydrofinity system uses 80% less water and delivers a gentler and far superior wash thanks to the polymer beads used in each wash that gently remove soil and stains from fabrics extremely effectively. Whilst traditional machines use between 40% and 70% hot water, Hydrofinity only uses 5%, on average – so with less water to heat, more energy is saved and your bills are reduced, helping you stay competitive. Linen loss rates will also be greatly reduced because of the combined effect of less hot water, reduced chemicals and a gentler wash process that doesn’t use the traditional ‘drop and slop’ method. In recent tests, the Hydrofinity reclaim program achieved more than 70% linen recovery rate when compared with traditional processes – yet another potential selling point for small laundries, as client satisfaction is boosted. In terms of marketing, a simple sign post in the window advertising the fact that you have implemented the eco-friendly and highly effective Hydrofinity system will go a long way to helping you compete with larger operations. So, there is light at the end of the tunnel for small laundries – and that doesn’t have to include a tunnel washer.